New Old Business: Kingston Wants You! 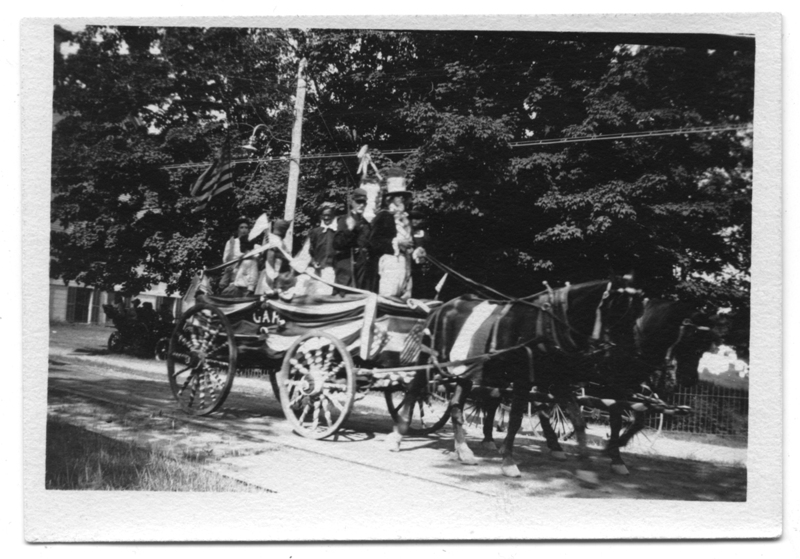 There’s a lot of talk about Kingston’s business community these days, so here’s a look at efforts 50 years back to bring new business to town. Published in 1965 by the Industrial Development Commission, this colorful pamphlet lays out the advantages of mid-20th century Kingston: a strategic historic location, efficient town government, fine schools, a well informed public, and more! 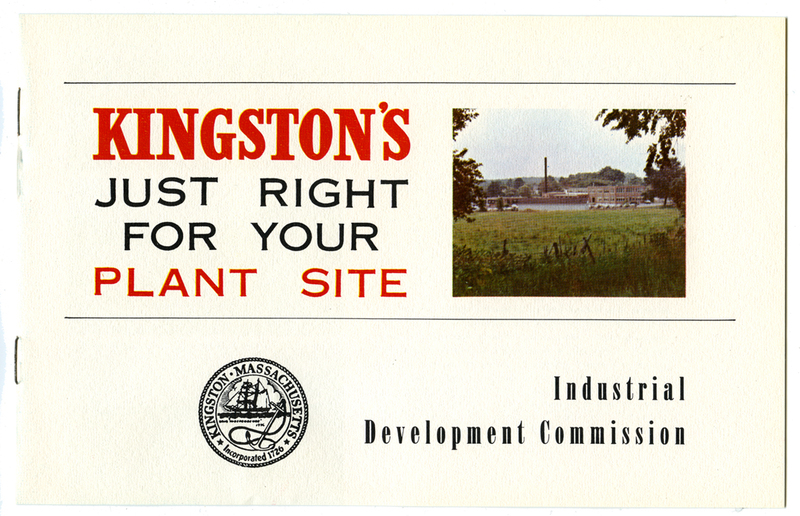 Here’s the pdf version of Kingston’s Just Right for Your Plant Site. 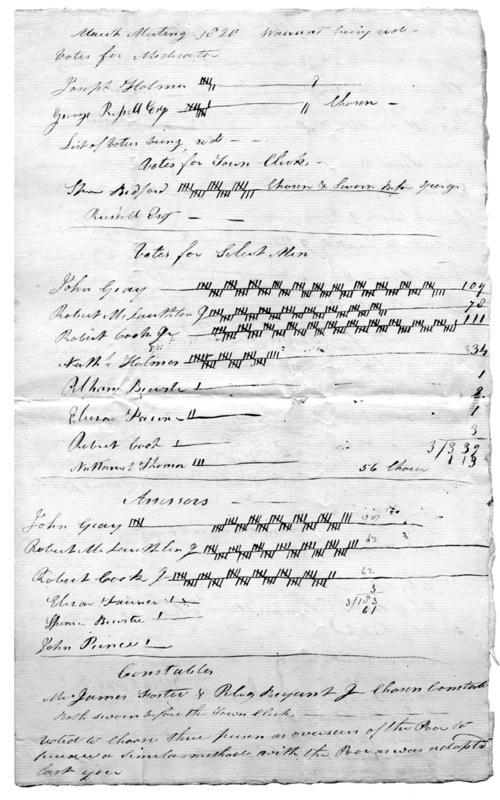 Here are the returns from 1820. 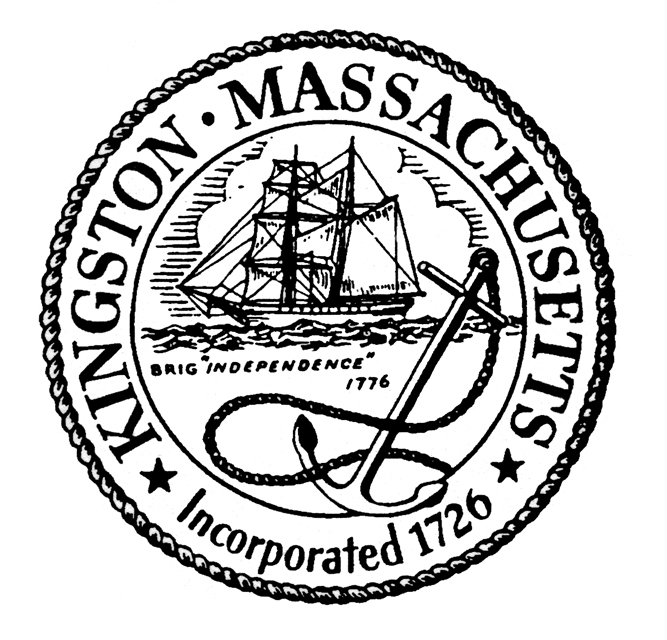 Kingston’s 2015 town election is this Saturday, April 25. Be sure to vote! 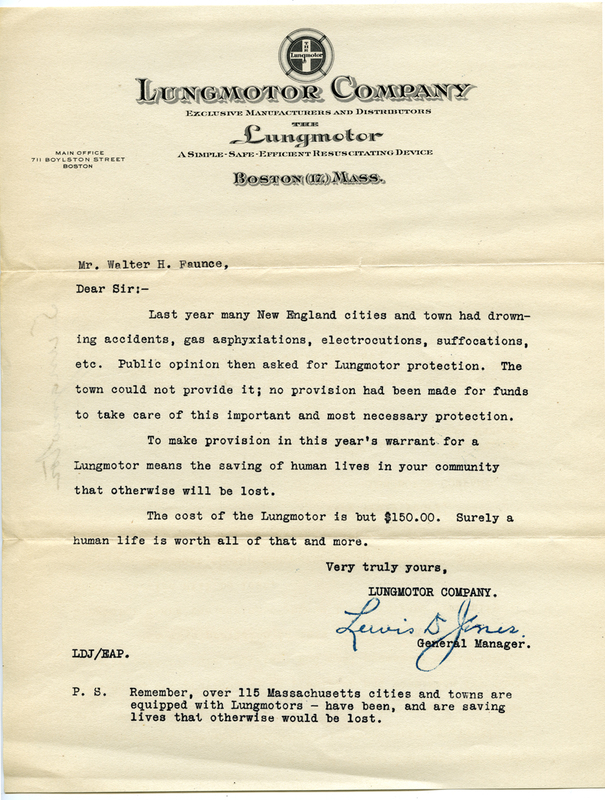 Okay, it’s a business pitch to the Board of Selectmen, but what exactly is a lungmotor? Our friends at the Library of Congress can help! If you need to know more about the Lungmotor (like I did), the Boston company put out a whole book on their product. Popular Science reported on a special motorcycle squad with Lungmotor-equipped sidecars in Chicago. 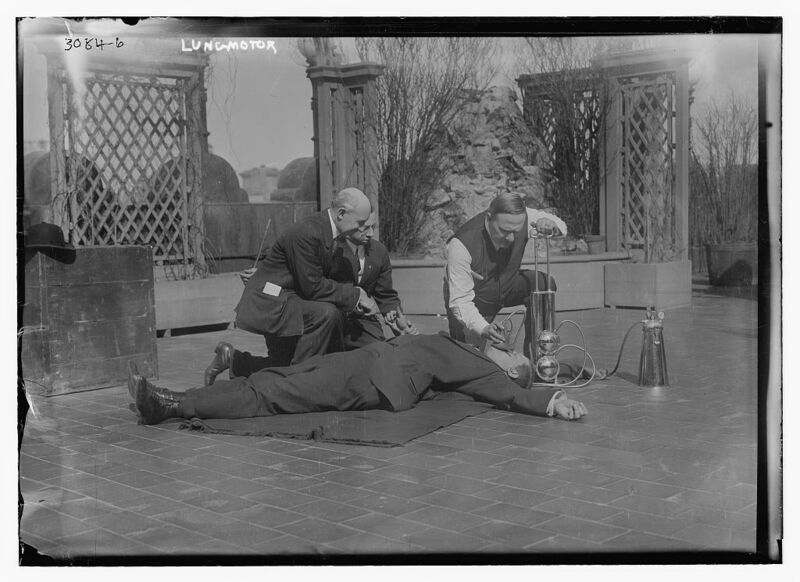 And finally, according to this, screenwriter Rube Goldberg picked the Lung Motor as the favored resuscitation apparatus in the big-screen debut of Three Stooges. Now, that’s an endorsement that should have made the pitch letter. 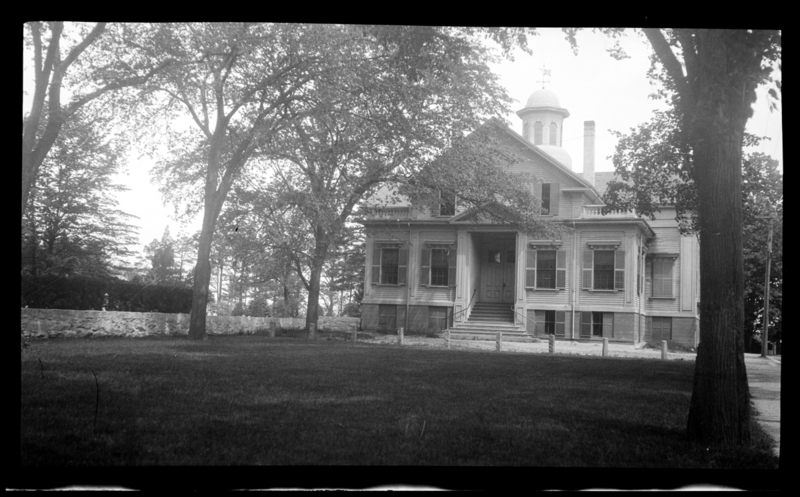 Source: Town House Attic II TOK5, “Health” Digitized glass plate negative from the Library of Congress: catalog record here. This blog started six years ago this week with this post. Thanks for reading! 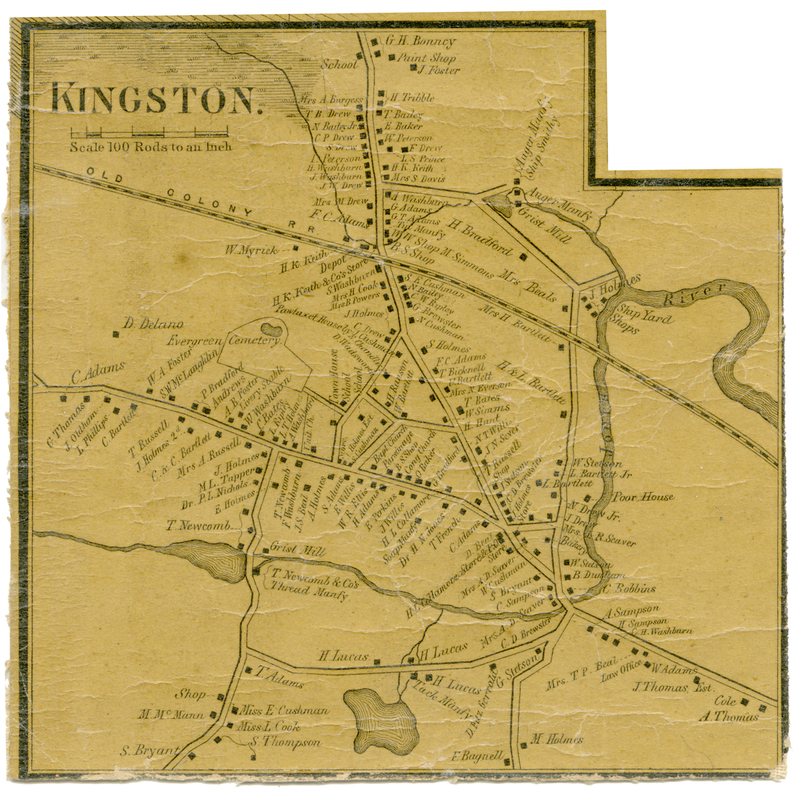 And it’s a great time to announce a new page Maps of Kingston on the Local History Room Online site, which (as the clever title suggests) has links to a nice bunch of maps of Kingston from 1795 to 1903. Click on a thumbnail to open or download a pdf copy of a map. There are either originals or copies in the LHR of these maps, but in some cases, the images are also linked to terrific online collections like the State Library’s Real Estate Atlases and the Norman B. Leventhal Map Center at the Boston Public Library. In the case of this 1857 wall map, the LHR has this detail and the full Town depiction only; these pieces were found in a local flea market after someone cut up the map! If you’d like to see the whole thing in person, we’re lucky to have a beautiful copy of the full map hanging in the Selectmen’s Office over in the Town Hall. 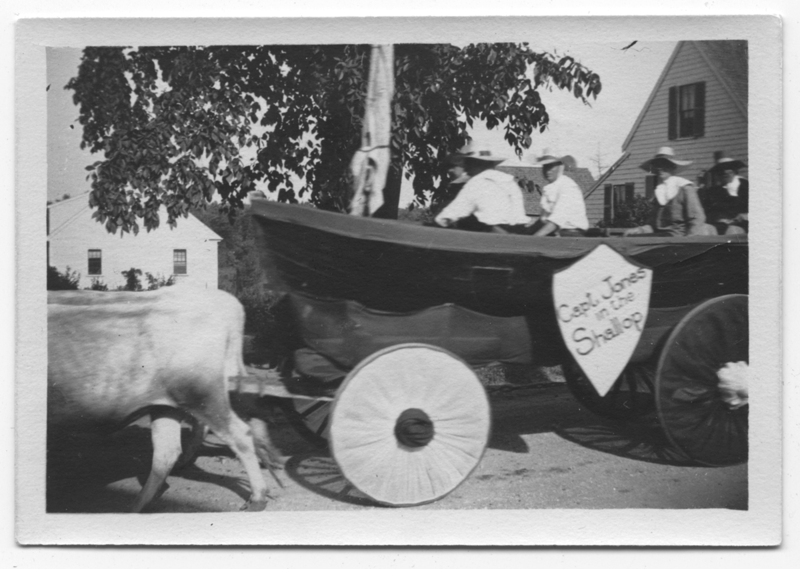 In 1910, Kingston’s first 4th of July parade rolled through town. More photos from this parade are here and here. Name the Town of Kingston’s new boat! As many of you know, the town is awaiting a new Harbormaster Patrol Boat, which is estimated to arrive around July 17th, and perhaps sooner. This purchase was authorized at this year’s special town meeting. 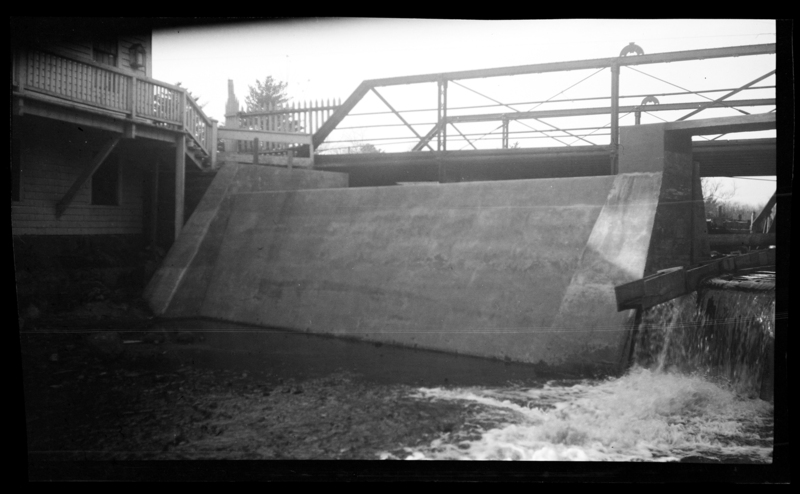 The Board of Selectmen have offered a “contest” to name the boat for the town. The person who submits the name chosen will be given a maiden voyage around Kingston Harbor on the boat, along with family and/or friends to the maximum allowed on the boat. So, please submit your entries to me with a copy to Laurie, and pass along the info on this contest to others in your department, and/or in the town! Chesperus, owned by Chester Fuller (or possibly his talking dog). 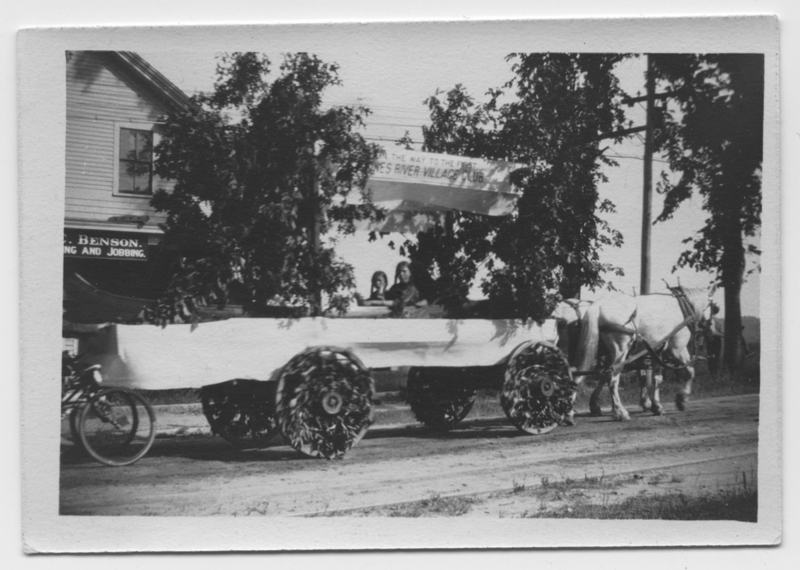 Arteola, owned by Charles Drew, in a photo from Old Home Day, 1908. Matchless owned by Captain James (or John) Drew. 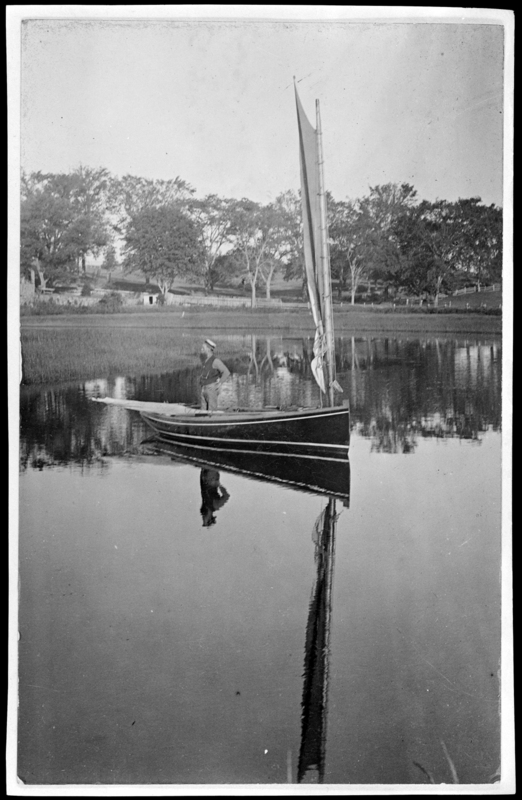 Tiger, the only steamer built in Kingston, built by Edward Ransom in 1898, owned by him, A.J.Hill, C.A. Ransom and Henry S. West. 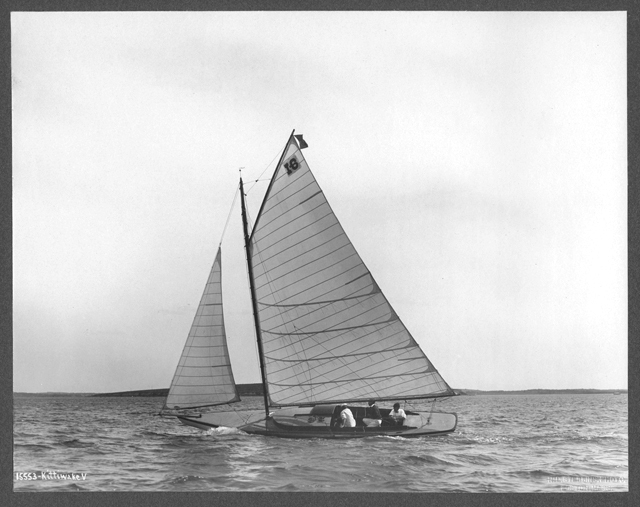 Kittiwake V, built by George Shiverick for Henry M. Jones. 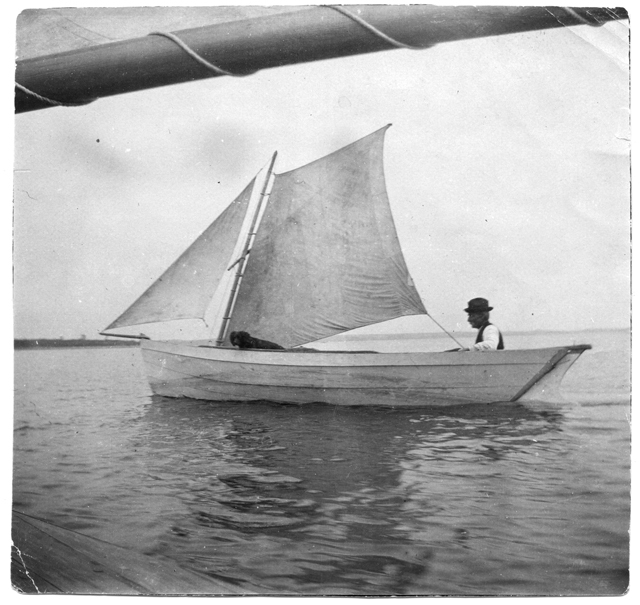 Kittiwake V, 1905. 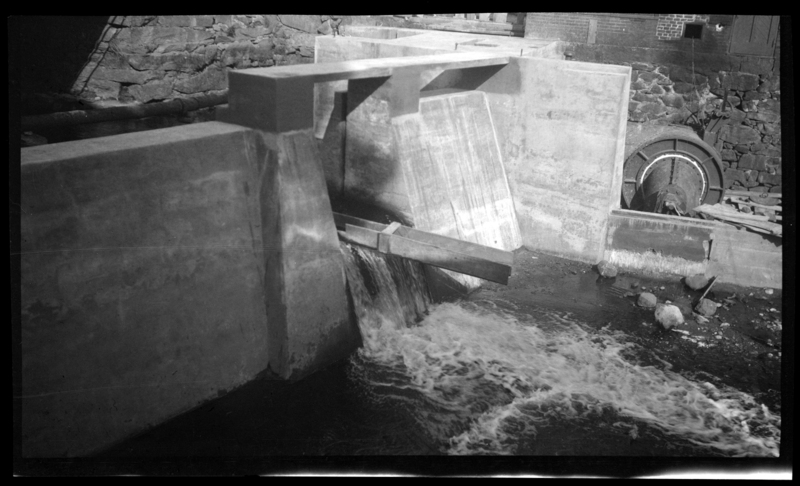 Photo by N. L. Stebbins Photo, Boston, Mass. 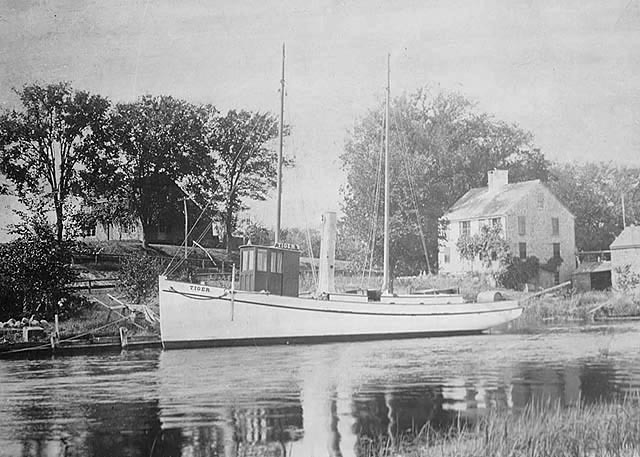 Herculean, built in 1839 by Joseph and Horace Holmes, owned by Joseph Holmes. 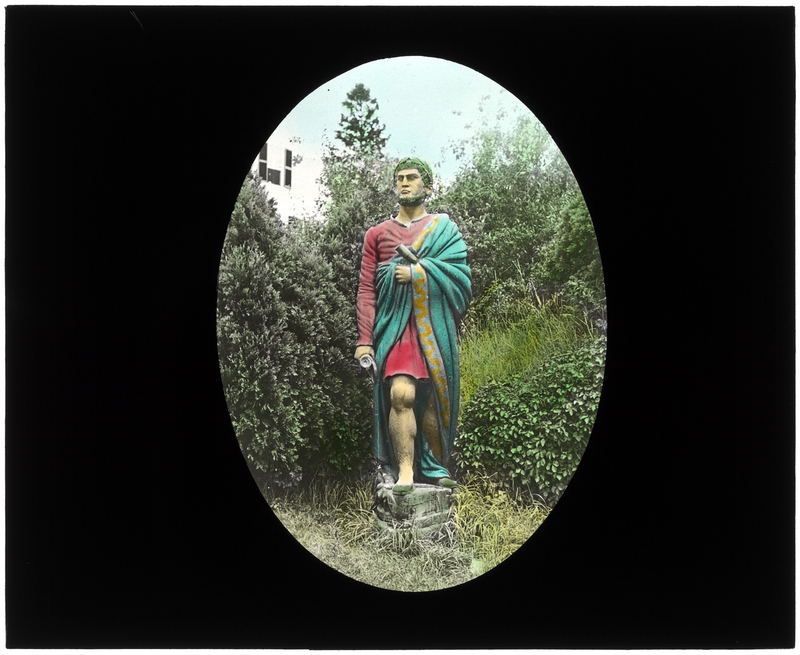 The 7 foot figure head weighed in at 800 pounds, heavy enough to cause the ship to leak. 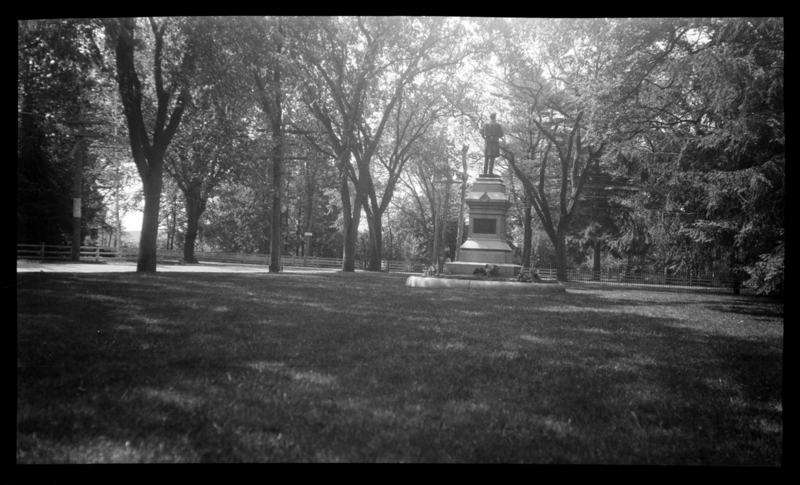 It was repurposed as a garden statue, where it stood among the shrubs for many years. 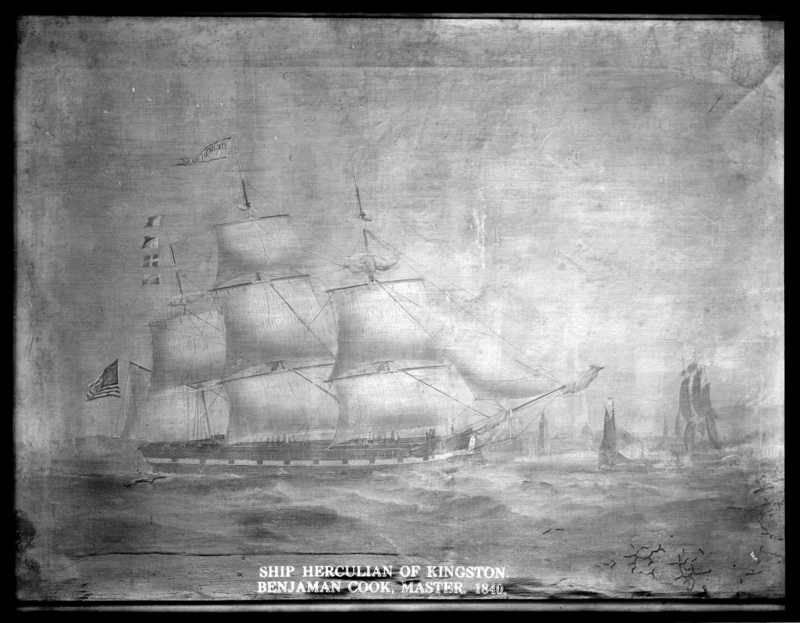 Finally, though there is no painting or photo, Independence, for the very first ship of the U.S. Navy, built in Kingston and seen here on the Town Seal, designed by Helen Foster. The Liberty Bell came through Kingston! Yes, THAT Liberty Bell! 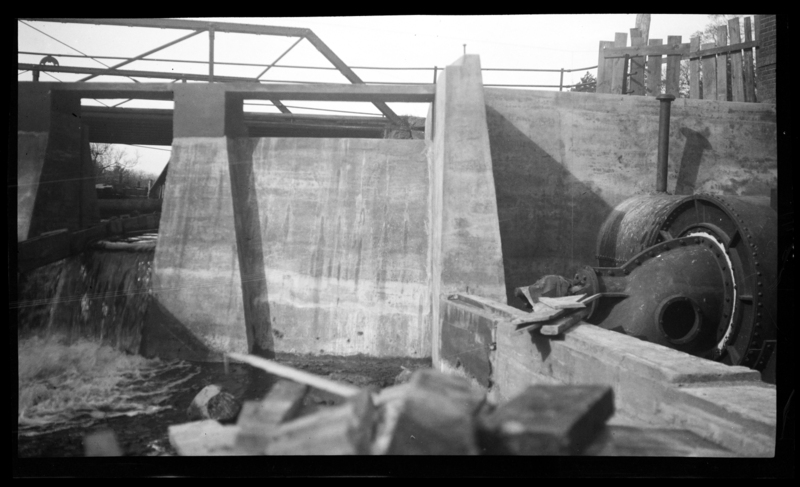 And we have five glass plate negatives to help tell the tale. 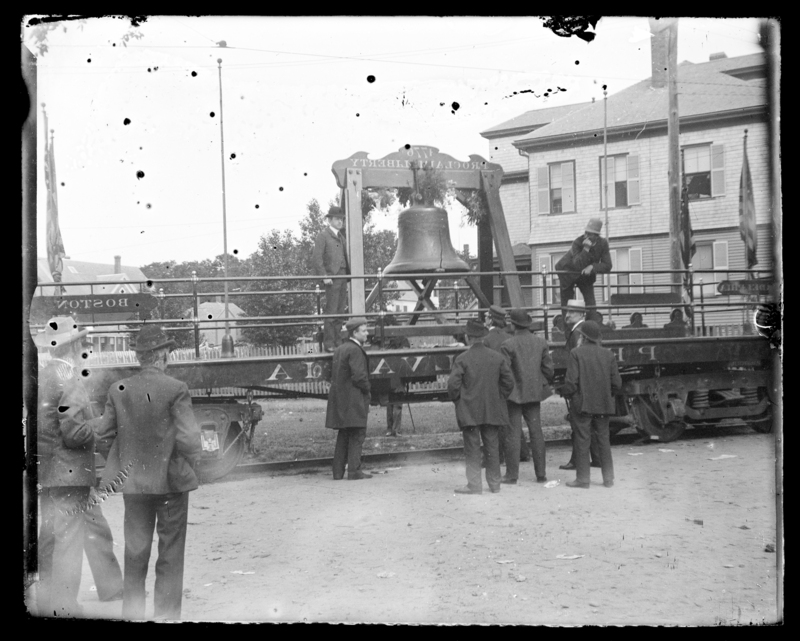 Between 1885 and 1915, the Bell gallivanted around the country — down to New Orleans, across to Chicago, all the way to California — on a special flatbed railcar. 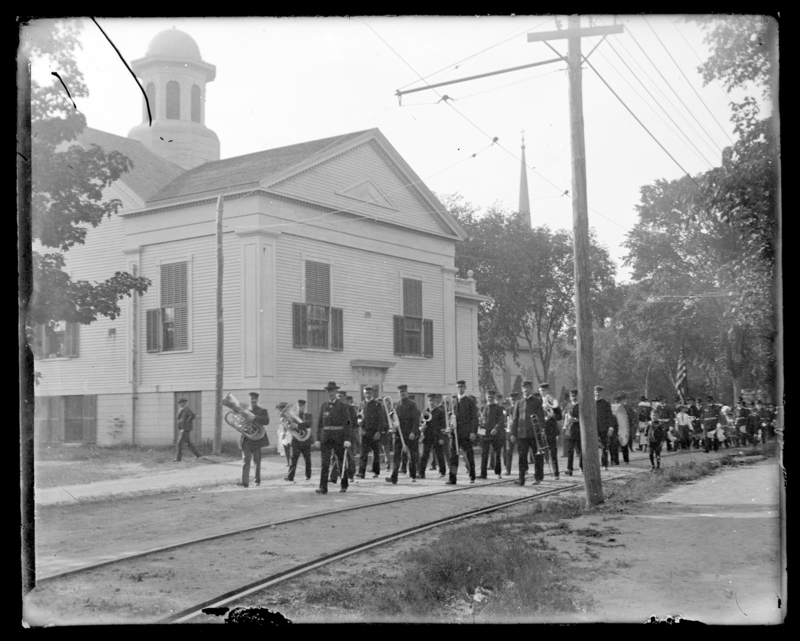 In 1903, one of those trips brought the famed Bell to Boston for a commemoration of the Battle of Bunker Hill, then south to Plymouth on June 18th. 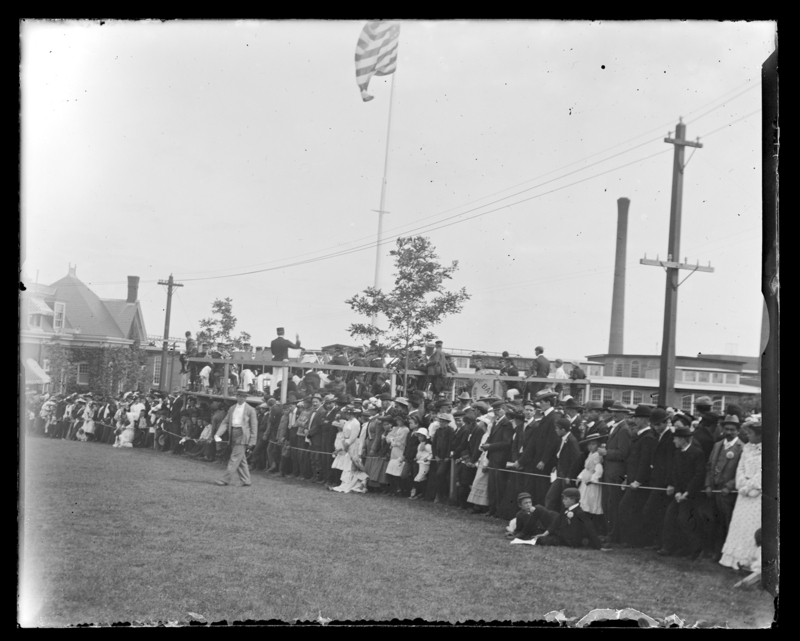 The Boston Globe proclaimed the event “one grand ovation.” After an estimated 50,000 people saw the Bell on Boston Common, hundreds more lined the tracks and thronged the stations as the train carried this most American symbol from South Station to meet its less-travelled cousin, Plymouth Rock. 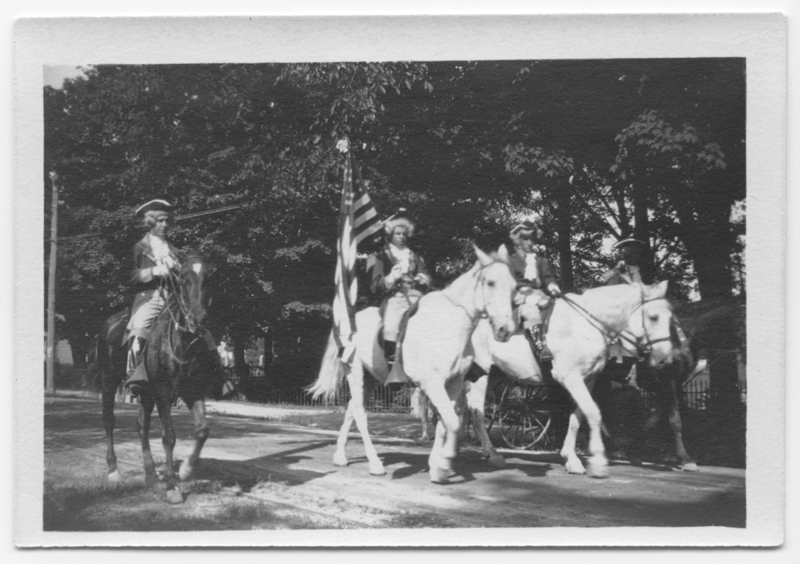 On its journey, the Bell was guarded by patrolmen from Philadelphia and Boston — “their work was not arduous” said the Globe — watched over by GAR veterans and active military escorts, and accompanied by politicos and tycoons who “scattered flowers and other Liberty Bell souvenirs” to the singing, flag-waving crowds at each station stop. 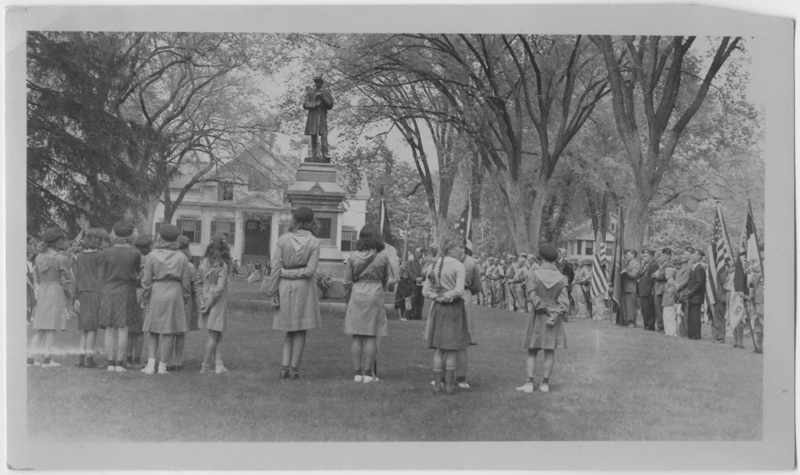 The celebration in Plymouth included a sumptuous banquet at the Hotel Pilgrim, patriotic tunes, and speeches galore. 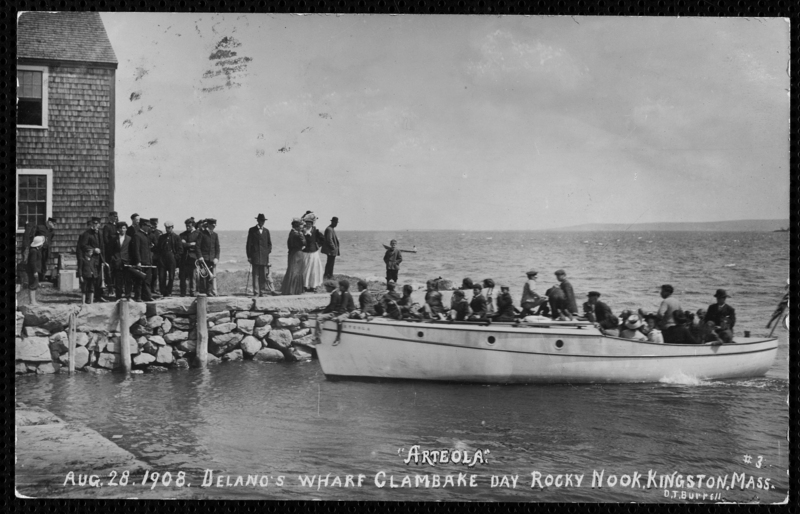 The sizable Philadelphia delegation even got to stand on Plymouth Rock! 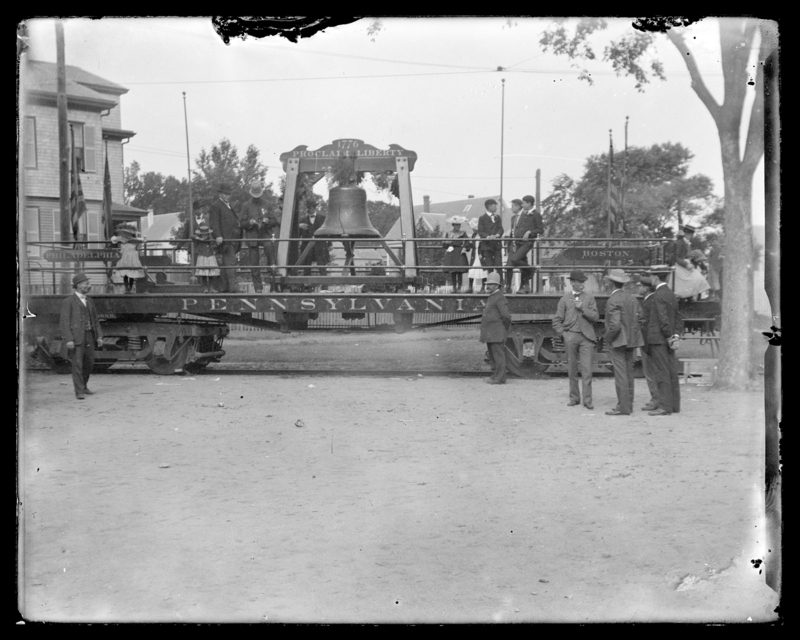 The Liberty Bell’s last train trip was to San Francisco in 1915. 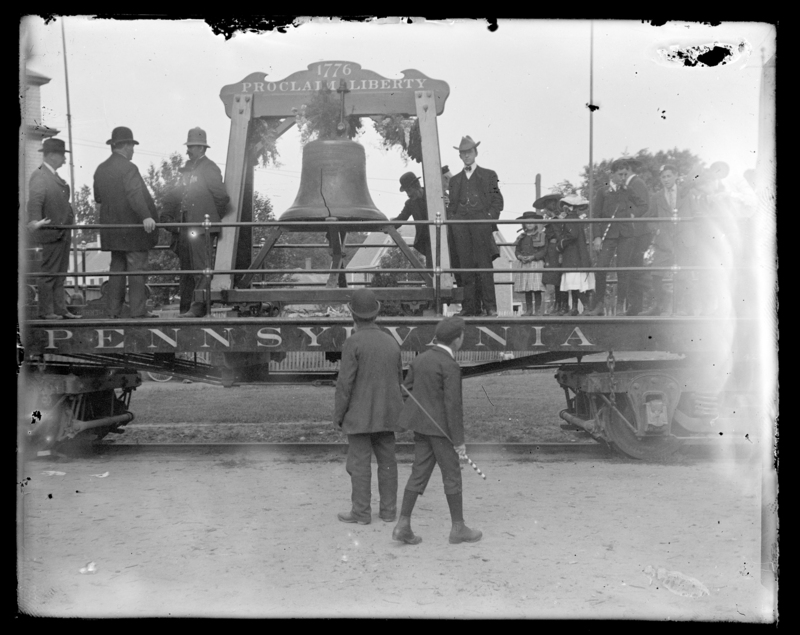 Officials determined that in 30 years of crossing the country, the Bell had lost 1% of itself along the way and this American icon has remained home in Philadelphia for the last 99 years. Emily Fuller Drew captured what feels like the deep cooling shade of a summer afternoon in these two photos. A familiar scene, yes, but the quality of the light makes something special of it. 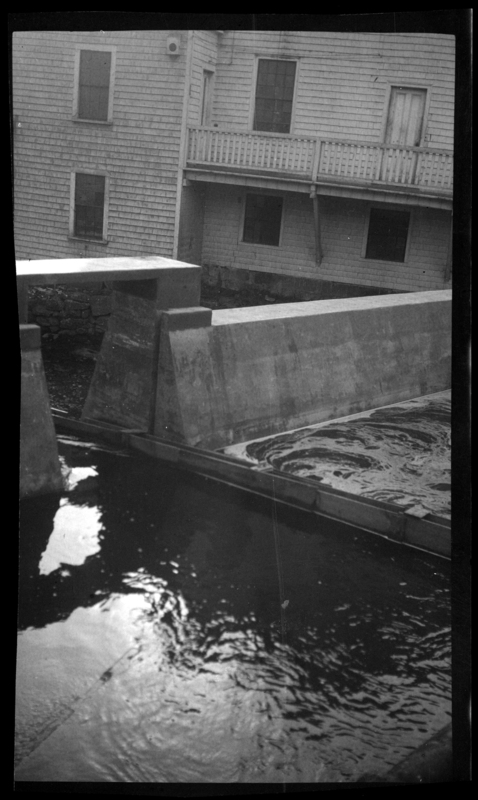 Source: Emily Fuller Drew Collection MC16, negatives scanned by the Digital Commonwealth/Boston Public Library.